The past has provided ELMA with a solid basis for the consequent further development of its core competences. The market and branch-oriented organisation with a flat hierarchical structure guarantees operation close to the customers' needs. Solutions to the various cleaning problems are worked out in co-operation with the customer and so the products and the service are constantly being improved. 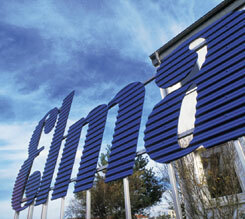 Distributors in more than 80 countries all over the world work for and with ELMA. Beside the expansion of the product range for the watch and jewellery branches, ELMA has become the right contact for searching solutions to cleaning problems in many other business sectors. Cleaning units made by ELMA will be found at opticians and cosmetic studios, in laboratories, at the jeweller's workshop, in medical businesses and even private households. Modular cleaning installations assist handycraft and industrial production with their maintenance and manufacturing processes. There are tailor-cut or particularly modified installations in the semi-conductor and solar cell industries, in the optics and medico-technical manufacturing, in the electrics and electronics industries, at automobile suppliers and in the aviation industry. There are specific, environment-friendly cleaning chemicals available for each cleaning task. ELMA carries out basic research both as participant in research projects and under its own responsibility. The latest outcome of this research, ELMA has developed multi-frequency units. Today, the customer can choose among a series of units for specific cleaning applications, aiming at the best possible cleaning effect for differing types of cleaning items and kinds of contamination by variation of the ultrasonic frequency. The success of the practical application is what drives ELMA. The development moves on.